Triathlon season is fast approaching, and it’s time to start filling in your event calendar. With so many great events here in the UK, 2017 could be the best year to take up a new hobby in the form of a triathlon. Whether you’re a beginner or seasoned triathlete, our list below has something for everyone. 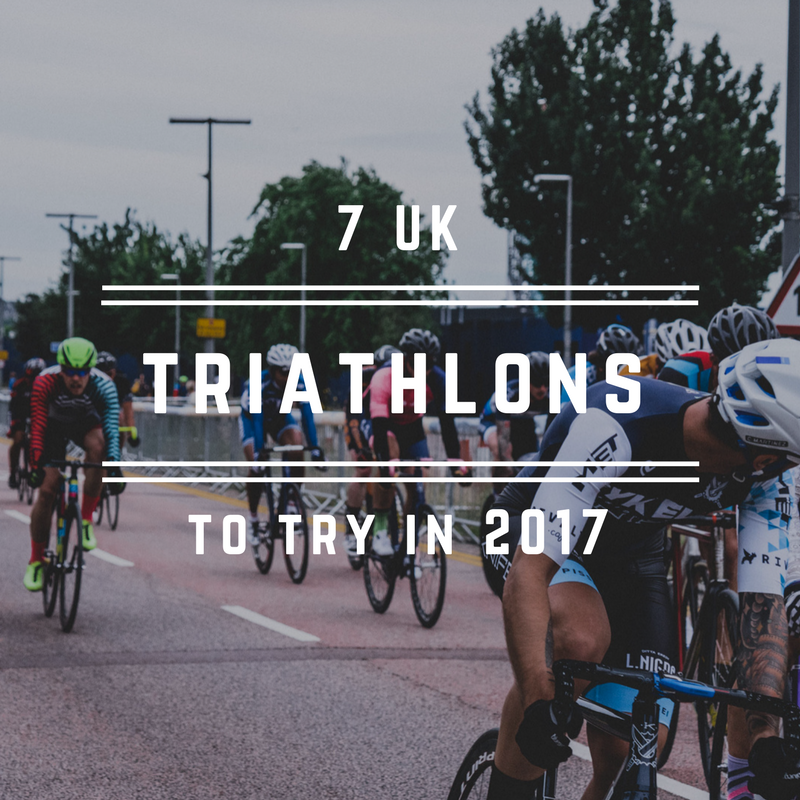 In today’s blog post we look at seven triathlons that you have to try in ’17. Note, these are in no particular order. We would recommend any of these equally! The UK’s premier triathlon is back for its *** year in 2017. Participants get the chance to join 13,000 other racers in one of the world’s most iconic triathlons through London. The course takes racers past some of the city’s most iconic landmarks including the London Eye, Westminster and London Bridge. The race also attracts many world-class athletes so you will get the chance to rub shoulders with some of your idols (if you can keep up). If you want to get yourself a ticket or find a training plan, check out their website. Held at the Unesco World Heritage site of Blenheim Palace, the Blenheim triathlon offers participants one the most scenic races in the UK. With around 7,000 racers taking part annually, and a range of different events for both adults and youth, the Blenheim Tri has something for everyone. Not planning on taking part or have a friend that is? The palace offers the most stunning backdrop for spectators that will keep everyone entertained on race day. Register your interest on their website. With seven events across the UK, Ireland and France that take place from April till September, the Castle Triathlon Series truly has something for everyone. Each event is held on the grounds of a stunning castle (hence the name) making every event unique. With distances ranging from sprint to Ironman, races for juniors, children and teams, the whole family can get involved. If you want to get 20% off the regular ticket price, you need to get in there quickly and get yours! Hosted and organised by Britain’s favourite triathlete family, the Brownlee brothers, the Brownlee Tri will enter its fourth year in 2017. Taking place at Harewood House in Leeds, runners will be treated to racing on the same course that the Brownlee’s regularly train on. Both sprint and super-sprint distances will be available for individuals, along with a Youth/Junior super-sprint, mates waves, and a sprint team relay. If you want to take part in this amazing event organised by the Brownlees, check out their website. If you’re into triathlon, you’ve heard of Ironman. Some would call it the pinnacle of endurance racing and the ultimate triathlon challenge. In the full Ironman, racers have to take on a gruelling 3.8km swim, 180km bike ride and finish with a 42km run. Sound tough enough? Athletes looking for a challenge that’s slightly less intense should consider the Ironman 70.3 series. At half the distances of a full Ironman — a 1.2-mile (1.9-kilometer) swim, 56-mile (90-kilometer) bike ride and a 13.1-mile (21-kilometer) run — the Ironman 70.3 series is the fastest growing triathlon series in the world. With races in England, Wales and Scotland, you’re sure to find a race not too far from home, just check out their website for more details. This epic race holds a special place in the hearts of everyone who has experienced it and features everything that makes this one of the ‘must-do’ races of the season. For competitors participating in the Legend and Full distance races, the Snowman offers one of the toughest ‘runs’ the UK has to offer – to the summit of Moel Siabod and straight back down to the finish line at Plas y Brenin. If you think we have a bias for events that take place in the grounds of a castle, you would be right! Who doesn’t love a great backdrop when you are competing? The Windsor Triathlon is certainly no stranger to this trend. 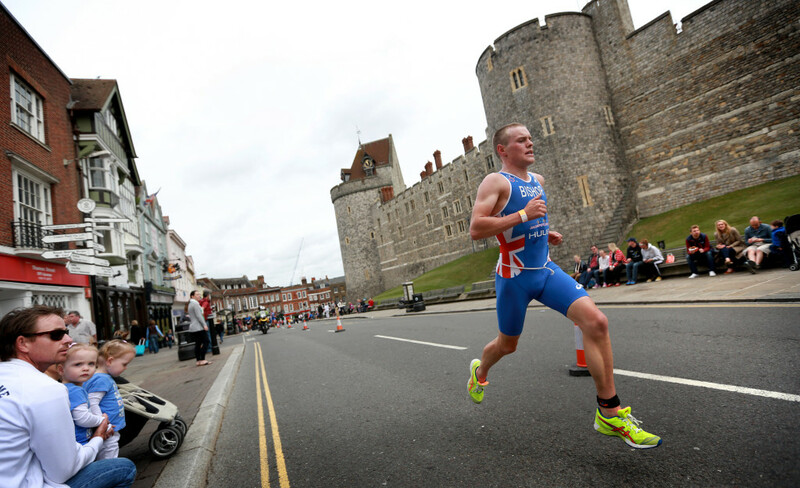 Awarded the BTF’s ‘Event of the Year’ a remarkable seven times, the Windsor Triathlon is one of the best Olympic distance triathlons in the UK. The triathlon celebrated its 25th anniversary in 2015 and has stood the test of time with its quality delivery, stunning location and great event village. Want to give the Windsor Tri a go? Just visit their website to find out more details.